Boxing fans in Bhutan may have never feasted their eyes on Ali or Tyson, live and in the flesh, but two of Bhutan’s youth will get a shot at emulating these boxing behemoths; And no less but in the international arena. Meet Tashi Wangdi and Tashi Wangchuk, the two boxers from Bhutan, who will soon leave for Russia to participate in an Asian boxing tournament. If they can box their way through, they stand to make it to the international levels, competing for world ranking. Friends of Tashi Dorji and Tashi Wangchuk consider the duo as history in the making for Bhutanese boxing. Tashi Wangchuk who will soon be turning 16 stands 164cms and weighs 48kg. He has a good left hand (south paw) which is always an advantage over the orthodox or conventional right hand user. “He outmaneuvers the opponent with his secret south paw as and when he gets opportunity to strike,” said a co-trainer of Tashi Wangchuk. The dream of these two young boxing aspirants is to ‘bring back medals for themselves and fame for Bhutan’. “As of now we hope to win gold at Russia first,” said the young boxers. Currently the boys are pinned to rigorous practice and workout sessions to match-up to international standards of stamina and strength. Their daily training begins, from 5:30 am to 6:30 am in the morning and in the evening it starts from 4:30 to 6pm. “We are focusing more into building stamina, mistakes that they make, and more importantly the fastness of punches,” said Tashi Wangdi. Tashi Wangdi says, I hope that, I will bring gold because I was selected among 24 of us. I don’t want to let my friends down as they are also expecting from me a lot. “With confidence and faith in myself, I can change my weakness into my strength. For example, I can use my height as an advantage to attack from inside,” said Tashi Wangdi. Boxing in Bhutan was popular only among the soldiers of the country in the Royal Bhutan Army, the Royal Body Guards and the Royal Bhutan Police and among few youths. Lately it has gained in momentum, with some youths showing interest and their dedication toward this sport is very visible. 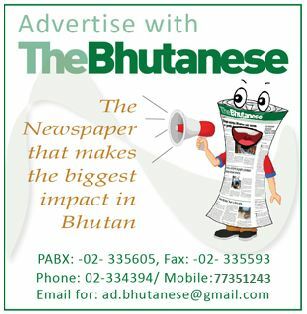 There are 24 students selected from various places of Royal Bhutan Army Camps. The selection was done in Gelephu sometimes in 2007.